This Italian grandmother had always done her part, giving to those less fortunate and helping where she can. Every year, she made it a point to donate to an orphanage in Kenya. This year, she woke up and decided that simply writing a check wasn’t enough. She purchased a plane ticket and was determined to volunteer in addition to helping out. She wasn’t going on a trip to be a tourist, to take pictures with the locals, or to stay at a luxury resort. 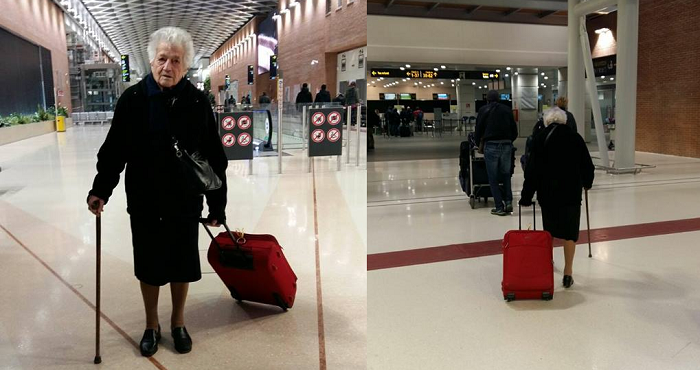 No, Irma, the 93-year-old grandmother, was off on the adventure of a lifetime. She wants to live a life that will have meant something to others, not only to herself. Along with her daughter, she plans to stay in Kenya to help out through an Italian missions group for three weeks! She wanted to do more than just fund a bit of help. She wanted to do some of the good work on her own. It wasn’t entirely unexpected, though. Irma was a giving sort of person, and her daughter joked that she may end up staying longer than three weeks! It was just the sort of thing that Irma would get up to, and her brave venture to help others in need was truly inspiring.